Had an assassin’s bullet not taken his life on a sunny morning in Memphis, Tennessee, on April 4, 1968, Dr. Martin Luther King Jr. might have lived to celebrate his 90th birthday last week. Can you imagine how the world might be different had he been granted a long life? 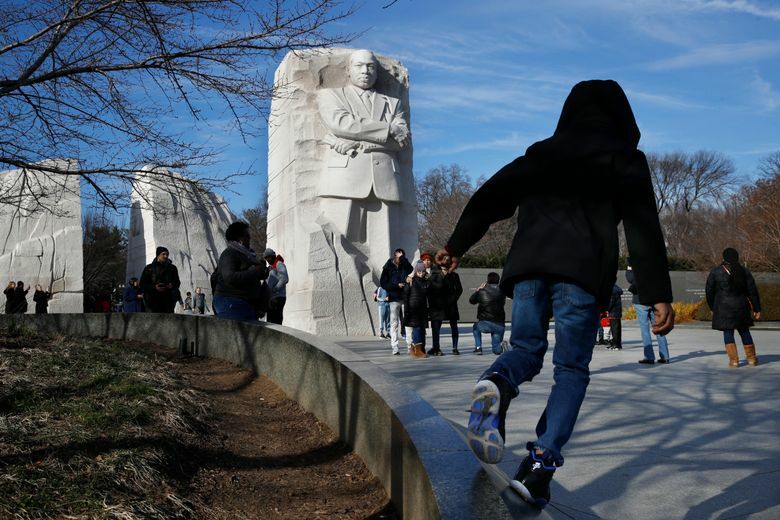 Each year, during the celebration of his all-too-brief 39 years on this earth, many of us take a moment to resurrect him through his words, seeking to understand him a bit more, and to move beyond his “I Have A Dream” speech to know the full measure of the man. Although that speech is among the most powerful and frequently cited in the history of American speech making, it has, as Michael Eric Dyson asserts, “frozen” King in our collective consciences as a safe, one-dimensional figure, and not the radical critic of American society that he actually was. At the time he wrote those words, King was responding to the critiques of white clergymen who viewed the nascent civil rights movement King led as moving too fast, demanding too much and becoming too turbulent for the times. But King also sought to reach past their ill-formed and biased objections to their congregations and to American society in general, challenging its silence and inactivity. King recognized that the legalized and longstanding oppression that he and his black followers were subjected to was depraved and was appealing to the broader society’s moral code and passiveness. His words rang out from Montgomery, moving people to action throughout America and the world and forging a civil rights movement that would eventually change American society. History has proved King right, and all who draw breath today are the beneficiaries of his wisdom and fortitude, as well as the courage and sacrifice made by his followers almost 65 years ago. The complicity of those who remain silent in the face of evil is a theme that he would frequently return to, and one that speaks powerfully to us in 2019. The daily drumbeat of insults to our morality that we read about in this paper or watch on our screens has paralyzed too many of us into inaction and silence. Day after day, the fabric of our neighborhoods and our country is frayed a little bit more, and too few of us march in protest, or volunteer with a nonprofit, or vote in an election. Dr. King might say to us that our self-centeredness and inaction, our silence in the face of today’s evils, is a modern-day version of the cooperation that he warned against back in 1957. Rather than remaining silent at the outrages of our times, or mindlessly reciting “I Have a Dream,” I hope that we will recommit to opposing evil, to protesting it, and never cooperating with it. Stephan Blanford is Executive in Residence at the Seattle Foundation.